My kids and I have always loved drinking milk. Ever since they were one they have been introduced to fresh milk. I prefer choosing fresh milk over formula or UHT packet milks for the kids. I feel that it means offering them the wholesome goodness of fresh milk as a source of deriving calcium, vitamin A, B and Zinc for their growing bodies . For me, it is important that the kids be served milk that is real. They should only have milk which has No additives, chemicals, antibiotics and is hormone free. Another important factor is that it should taste good too!! 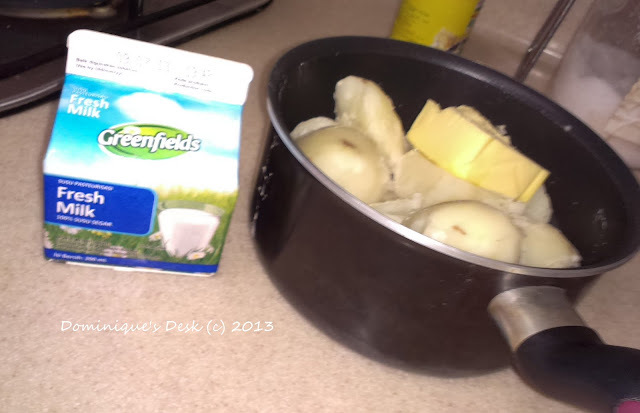 Greenfields is one brand of milk which my kids and I love to drink. They love drinking the Chocolate Malt from their range of milk and it was the first 1L packet which they finished up within a day. The yummy chocolate malt taste isn’t too over powering and thick. The three kids can easily drink a cup of chocolate milk in the morning and another cup before bed at night. Greenfields factory is located in East Java which is near Singapore. It only take 2-3 days to ship their milk over here as compared to the 6-7 days delivery time for milk which comes from Australia /New Zealand. Their milk is just all natural honest milk. Our milk is produced, pasteurised and packed within the dairy and it is single-pasteurised, ensuring optimal freshness. Besides just drinking the milk from the packet, I do use milk in many dishes which we eat at home. 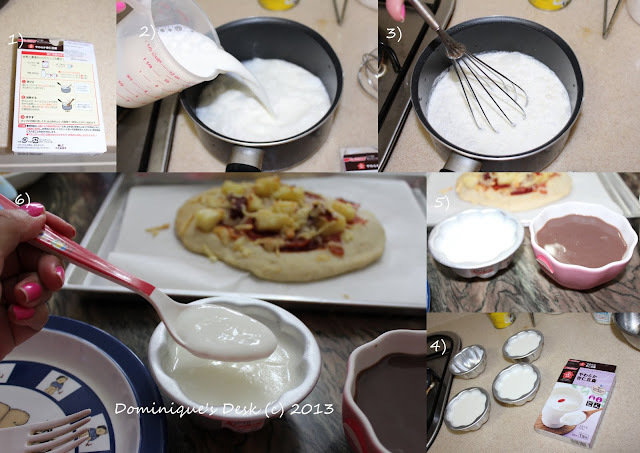 Here are some simple dishes which the kids have made using milk. Doggie boy loves eating pudding so during the holidays we got a packet of instant pudding mix from the supermarket for him to try out. Following the instructions in the back he only needed to add milk and water to the pudding before mixing it over a low flame. He followed through the steps under supervision and added in all the necessary ingredients before whisking it under a small flame to ensure that it was well mixed. When the mixture was well mixed, it was poured out into the moulds and left to chill in the fridge for 3 hours. It certainly tasted yummy with the milk giving it the extra creamy texture. Mash potatoes is something which Monkey boy loves to eat. Each time we eat out at KFC it is one side dish which he will never fail to order. It is actually very simple to be done and can be made at home easily. 1) De skin the potatoes and half them before putting them into boiling water. 2) When the potatoes are soften drain away the water and mash them. 3) Add in milk and butter until desired consistency and texture. 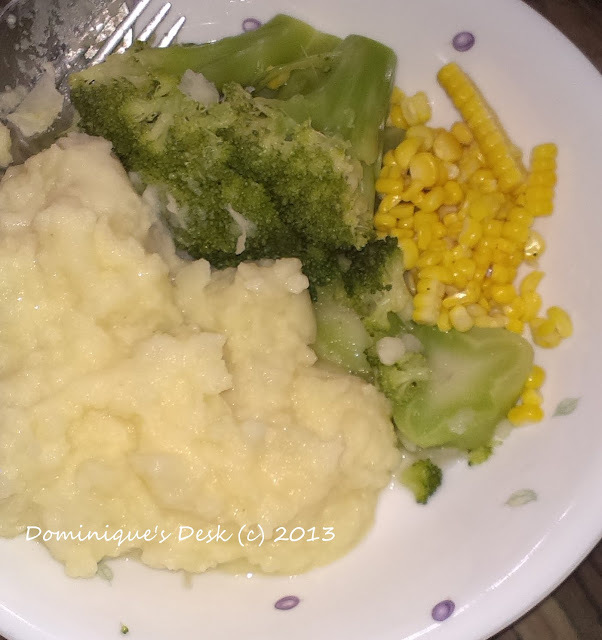 Mash potatoes with steamed vegetables. The milk which is added to the mash potatoes make it smooth and creamy and the kids simply loved it. Greenfields Milk available in 2-Litres(All except Fair Price),1-litre, 500ml and 200ml packs at leading supermarkets and convenience stores island wide. Disclaimer:I received sample packages of Greenfield products for review purposes. Originally posted on Dominique’s Desk. All opinions expressed on this website come straight from Dominique unless otherwise noted. This post has Compensation Levels of 2 . Please visit Dominique’s Disclosure page for more information. I’ve actually never seen this in the stores. I’ll have to keep to an eye out. I love farm fresh milk. I love the things that you made with the fresh milk. Pudding and mashed potatoes are some of our family favorites as well. Love the recipe of the pudding! Never tried making it myself, which is strange coz i love pudding a lot! Thanks for the share. I love that chocolate drink. Well, I’ve always loved chocolate drinks. I think the brand is only available in Malaysia and Singapore. The food in the pictures are making me salivate. I love mashed potatoes! Too bad my hubby doesn’t care for them. I think I’m gonna try it for once. you sure maximized the use if milk 🙂 plenty of helpful options here.